Make a quick check of your building budget! What is your build type? In what year do you plan to build? We have an interactive form that helps you calculate your gross floor area. and we will provide the total areas plus the allowances. Click here to calculate your gross floor area. Measure all internal floor areas (to the outside of the external walls), including garages. Measure all external built areas like carports, decks, verandas, terraces, balconies, covered areas. Do not include driveways and paths. Measure uncovered driveways, gutter crossings & simple paths. Measure full extend of pool enclosure that is hard surface or water. Only count demolition that is not within a New or Renovated (Internal or external) area (but not driveways or paving). This is a way of picking up work that falls outside the area of general works. Add in additional site options like cabanas, sheds etc. Measure the area of footprint affected and multiply by the average depth of excavation = volume. How many new fit-out items? The number and type of internal fit-out items can be a major in the cost of a project. Your building cost will be significantly more if you have many ensuite bathrooms or lots of internal joinery. The budget cost of these items is adjusted by the Quality scale in Step 4, and the allowance is show in the Summary. Total length of new fixtures? window = 4 sqm approx. Only add windows here when they are not within an area that is New or Renovated (Internal or external) area (but not driveways or paving). This is a way of picking up individual window additions or replacements that fall outside the general works. details, materials, finishes, fixtures & accessories. These can affect the cost of your home. Sloping sites can increase the cost of your home dramatically. This extra cost is because of more complexity in the structure, more stepping of floor levels, stepping of roofs, more excavation & retaining, more steps and stairs, more difficult scaffolding and more site drainage. One for the first things builders will look for is site access. Difficult access will make your build take longer, because it slows down every trade, makes deliveries more difficult & may require the use of hoists, cranes & conveyors. There are different categories of construction for different BAL (Bushfire Attack Level) ratings, and the higher ratings create a more costly build. A marine environment will require more attention to detail and a much higher spec. for some fixtures, fittings, finishes and accessories. Galvanised steelwork, fixings & ties will need to be replaced by special paint finishes and or stainless steel. Claddings & external light might need to be copper or zinc instead of metal or aluminium. The construction industry is cyclic and this will cause building costs to vary. There are times when builders will put their rates down to get work and busy times when builders rates get much higher. Being an owner builder will typically save you a ‘builders margin’ but it will likely cost elsewhere in the build and your project will usually take longer to complete. This is an allowance for costs that will occur on your project but that are hard to estimate with a quick costing. It is for unforeseen items, overruns, some amount of changes in the project that result in extra cost. Our automatic calculation will suggest a contingency sum for your project and this will vary depending up the size, quality level and other factors. You can allocate your own contingency amount using ‘Custom’. * This is a common rule of thumb for estimating building costs. Our figure for your renovation is calculated from all the inputs provided to produce a more accurate costing than by using square metre rates alone. * Rate excludes all Demolition, Excavation, Driveways & Paths, Pools and Spas, and all outdoor living areas, decks, patios, balconies, porches, carports. This cost covers items such as; the builders surveyor for setting out the works, temporary fencing or hoarding, environmental protection such as erosion and sediment control, general site clearing, scaffolding, amenities, site toilets, first aid, required signage, some specialist documentation such as shop drawings, crane-age, hoists & other equipment hire, permits, some councils fees, dilapidation reports, site cleaning & rubbish /debris removal, contract costs and legals, plus insurances. This builders margin covers the builders overhead and profit. Overhead includes expense items such as office costs, accounting, legals, advertising, vehicles, tools, training, professional and business administration costs. The covering overheads the remaining profit is reward for taking on risk, provides money for new equipment and growing the business, working capital, and importantly is what they dip into to cover mistakes and some unforeseen costs on your project, i.e. underquoting. When you send a copy of the costing to your email, it will also be emailed to us for information and for improving our services. builder or QS (Quantity Surveyor). Fix: Removed jumpy Quality Scale Section after switching between auto and manual quality scale. New: Implemented automatic retrieval of previous costing. New: Replaced checklist with a 12 Step Quality Scale Assistant. New: Introduced multiple select for most items in the 12 Step Assistant. New: Implemented weighted totals for the selected items in the 12 Step Assistant. New: Replaced radio buttons in the quality scale with a slider in Step 4. New: Introduced checklist that automatically calculates the quality scale. New: Implemented toggle between auto calculate and manual slider in the quality scale. New: Quality scale of less than 3 are disabled in the slider when build type is "Alterations & Additions". New: Changes to the quality scale slider and auto calculate buttons appear in the history. Fix: Excavation checkbox, when unchecked, were not disabling the values in the calculation. Fix: Excavation values are now being retrieved even if they were unchecked. New: Information box under the External Openings part of Step 3. New: Information box under the Detailed Demolition part of Step 3. New: Quality scale #1 and #2 will now be disabled when build type is "Alterations & Additions". For renovations, Quality scale 1 & 2 should not be available for selection, as these are for new buildings only. New: Selected Build Type now appears in the Costing Summary before the Cost Breakdown header. New: "New doors/windows" item now hides in the Costing Summary when build type is new. New: Integration of the commenting system. Once enabled, users can now leave comments on the page. New: A new button under Begin Here now appears when the form detects saved data in the Home Area Calculator. The new button, when clicked, will create a new costing from the values in Home Area Calculator. 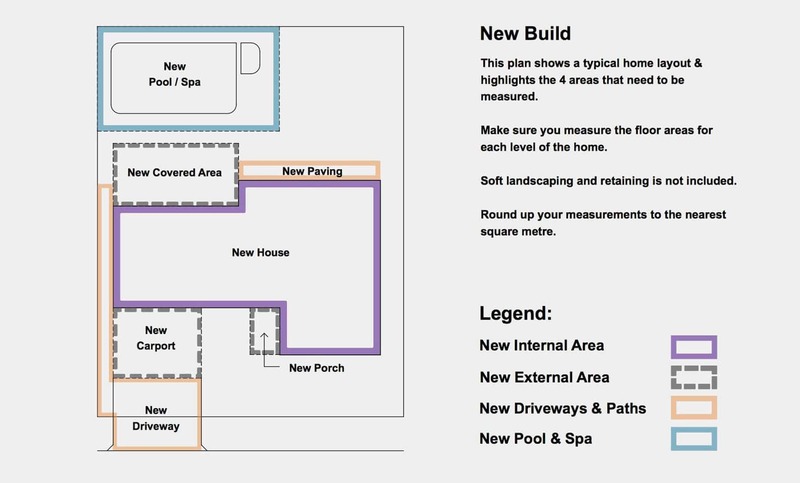 It will select New Build Type, pre fill the Internal Areas and External Areas, the Kitchen count, Bathroom count, Ensuites count which is the sum of Master Ensuite and the regular Ensuite, Powder Rooms count, Laundry count, and the three Other Custom Fit-out values in the Home Area Calculator Form. New: Added a note under 'View Summary' and 'Send me a Copy' buttons. New: The Custom Fit-out and Custom External Site Option name inputs now save when focusing out of the input. New: The Custom Fit-out and Custom External Site Option name inputs now records in the history if a custom item has been removed. New: The History items will now be cleared whenever a costing is being retrieved or is being started. New: The History items will now print whether a costing has been retrieved or has been started. Fix: The History Tab container had right angles in its corners, now it is rounded. New: The calculator progress bar now stays yellow while the costing is being saved and will change to green and fade out when completed. New: The floating utility box now hides when an input located at the right half part of the calculator form gets focused. New: The history items in the History Tab now has a distinctive look. The list now has alternating colors for each item. The Input name also is distinct with an italized, red colored text. The values are displayed as bold. New: Clicking on the input name scrolls you to the actual input in the calculator. Clicking the input name (red italized part of the history item) will cause the calculator to scroll up/down to the location of the input. It will also highlight the selected input in yellow. New: Clicking an input name that is located at the right hand side of the calculator will hide the history details. To avoid overlapping of the item being selected, the floating utility box(for the lack of a better name) will be collapsed when an item on the right is being scrolled unto. New: Builder type will have a different history description than the others. The Builder type will say "is checked" or "is unchecked". All other items will say "input item name was changed to another value". New: The floating totals is now more than just a floating total. It now also houses the Costing Calculator History. The floating total now opens by clicking either the Calculator Icon (left most), the History Icon (Next to the Calculator) and the Total $0 - $0 text. New: The Breakdown preview totals now open as one tab, it is distinguished by a shadowed box with a white background inside the floating totals. Clicking the calculator opens the totals detail. You can also click the Total text to open the totals detail. New: Introducing, the new Costing Calculator History Tab! You can view the changes in your calculator in this tab. You just have to click that icon with a counter clockwise arrow and clock hands in the middle. New: The calculator loading animation is now replaced by a progress bar. The floating total now also serves as the loading animation, gradually filling up the entire floating total box with green until no changes are executed. Fix: Quality Scale has now been defaulted back to 5 again. Fix: Major bug when sending the costing calculator by email. New: Costing Summary window now replaces the costing summary that opens in a new tab. New: The Costing Summary window updates everytime the input valuess change in the Costing Calculator window. Fix: Removed the Builder's Margin Percentage Variation. Fix: Distributed the total modifiers into all the parts to create accurate totals. New: Fit out item values now display rough totals for each item in the costing summary. New: Internal Balustrading now shows the total. Fix: Adding up the fit out items and the robe an balustrading totals will now equate to the subtotal on the right. Fix: Square metre rate is now accurately displaying total / internal area. Fix: Removed total modifiers for Soft Landscaping, External Custom Siteworks, and Internal Custom Fit-outs. New: Added dollar signs for the Custom Site Options, and Custom Fit-outs. Fix: Aligned Quality Scale Notes. Enhance: Redundant calculations are now removed thus improving the calculator's performance significantly. Enhance: The Calculator now waits and listens to every change in the input values for at least two seconds in between each input change before calculating the totals. This reduces the work load of retrieving a costing by 90 times. Fix: Floating total now updates immediately from a fresh costing without having to fiddle the quality scale. New: Floating total now expands when clicked, showing the breakdown in a small table. New: Floating total can now be toggled to expand or collapse by clicking the box. New: Floating total now fades out when the entire page is scrolled down to the Cost Breakdown section and fades back in when scrolling away from the Cost Breakdown Section. Fix: "In what year do you plan to build?" now is defaulted to the current year. New: Added the "Soft Landscaping" field under Step 2 Initial Siteworks. New: Added one more Custom External field in the Custom Site Options under Step 2. Fix: The Soft Landscaping and Custom External fields are now computed and displayed under External & Siteworks in the Costing Summary. Fix: The Doors/Windows are now calculated and displayed under the Building Shell section of the summary. Fix: Internal Balustrading is now transferred to the Interior Fit-out. New: When selecting build type as "New", the External Openings will be hidden, but the totals will include 6% of the shell cost as the external openings amount. New: Cost per sqm now displays under the Total estimate. Fix: Balustrading labels are now changed from 'sqm' to 'm'.